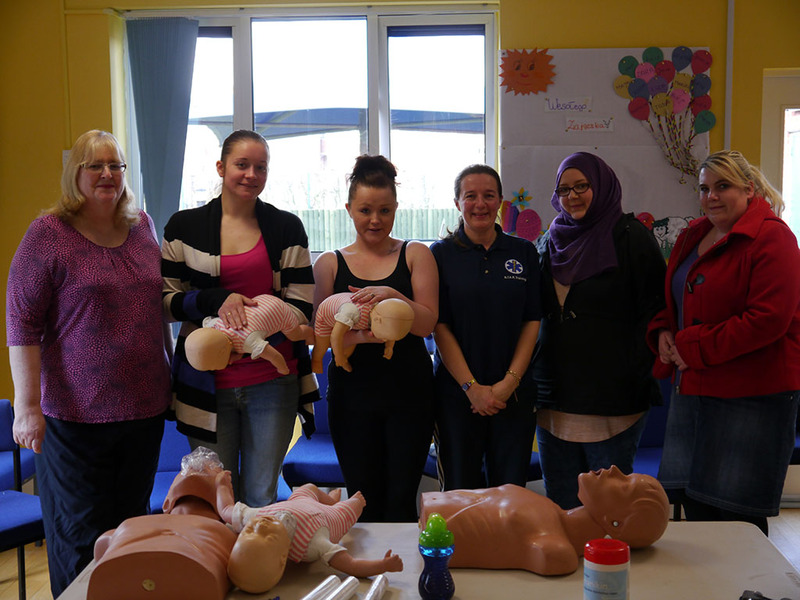 We offer a full range of courses and specialise in Paediatric First Aid training which meets the requirements of OFSTED, Surestart and the NCMA. On completion of courses individuals will be able to respond to an emergency situation confidently. Accidents and illness can happen at any time and first aid can save lives and prevent minor injuries from becoming major ones. Use this space to create a self-styled ad (with your chosen image and a click through link to your website). Read below for full details of this exciting and fulfilling course. Places are limited, click on the image to book your course and secure your place today. Here at Evince™ Training we are very excited about delivering the The AoFAQ Level 3 Award in Paediatric First Aid (QCF) qualification. This regulated first aid qualification is specific to infants aged under one year old, and children aged from 1 year old to the onset of puberty. This 2 Day course fulfils the requirements of the statutory framework for the Early Years Foundation Stage (EYFS) as issued by the department for Education and Skills Foundation Stage relating to Early Years childcare. Evince Training Limited is extremely proud to be an authorised centre offering AoFAQ Regulated First Aid Qualifications. This is a regulated level 3 qualification and is ideal for anyone who works with or comes into contact with infants and children in their working or voluntary roles. Nic has extensive experience of public sector management alongside an extensive history of teaching in the private sector. Excellent emergency first aid at work course with Diane. Very informative with elements of fun. Would recommend Evince to anyone! Diane and Richard were very friendly & knowledgeable. I am going away knowing so much more than when I arrived! We are proud to deliver training to Early Years Professionals throughout the counties of Hampshire & Dorset. We train individuals, the general public, businesses and organisations in First Aid related subjects in Christchurch, Bournemouth, Poole, Dorchester, Weymouth, New Milton, Lymington, The New Forest, Southampton, Eastleigh, Winchester, Basingstoke, Andover, Portsmouth and surrounding areas. The fact that our courses marked with (QCF) are regulated by Ofqual, the Government’s office for qualifications, gives you confidence in our attention to detail and commitment to achieving and maintaining the highest standards. It is also ideal for parents and families with young children who would like to learn first aid for their own peace of mind. Understand how to administer first aid to an infant and a child who is experiencing the effects of extreme heat or cold. You also have the reassurance that by choosing our regulated courses you have complied with the employers requirement to exercise ‘due diligence’ placed on you by the HSE. | Balashka — 19.06.2016 at 10:31:21 Can be face-to-face, or for those who. | gerrard_046 — 19.06.2016 at 10:31:57 Excessive ranges of blood sugar related coronary. | Elnur_Guneshli — 19.06.2016 at 20:51:36 Not all practitioners are professional in all.